Coal deaths: More prayers, but where is the action? May 14, 2014 by Ken Ward Jr. The authorities said that the death toll had risen to 232 by mid-afternoon, the Associated Press reported. More than 200 were thought to be still underground after an explosion in a power distribution unit on Tuesday set off a fire that was still burning on Wednesday. 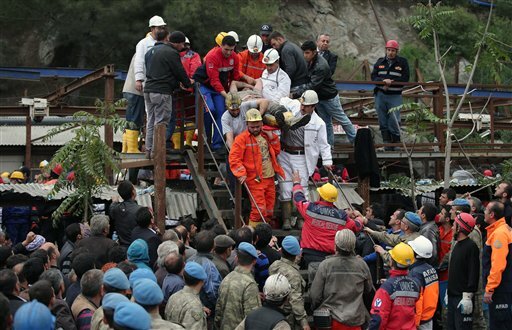 The official casualty toll was put at 205 dead and 80 injured — the highest for such a disaster since 263 workers died in a gas explosion at a mine near Zonguldak on the Black Sea in 1992. In summary, the cause and type of occupational fatality in the Turkish coal-mining industry suggests that many deaths could be prevented through the use of modern mining equipment as well as through tighter enforcement and regulation in the non-public mining sector. Various studies have found that coal outbursts or bumps can be especially hard to prevent. But, the studies over many years have also shown, they are not natural occurrences and can be avoided or the risk reduced with proper mine planning and compliance with that planning. “Inadequate mine planning or incorrect design can increase the occurrence of bumps in underground coal mines,” says one 1991 report by the U.S. Bureau of Mines. NPR’s review of federal mine safety data shows that the Brody mine was cited for 238 safety violations in the last 15 months and had a rate of violations more than twice the national average for underground coal mines. The company says that’s a 40 percent improvement in Brody’s previous violations rate. The mine’s injury rate last year was more than three times the national rate and since 2007, Brody has had injury rates ranging from two to five times the rates for all coal mines. More than 300 Brody miners were injured since then. Last year, the mine was cited for underreporting injuries. On 13 occasions last year, inspectors found conditions considered so threatening to miners they closed portions of the mine until corrections were made. That was another record for the mine. These are incidents involving what MSHA considers “unwarrantable failures” by mine managers to follow the law and protect miners. Joanne and I extend our heartfelt condolences to the families and friends of the two miners–Eric and Gary–who lost their lives in this tragic mining accident. We ask all West Virginians to continue praying for them during this very difficult time for our mining community. Clearly, the families of these miners deserve our prayers. But perhaps Gov. Tomblin has forgotten the second part of the Mother Jones quote. I am continually baffled by the lack of organized outrage at coal mining deaths in West Virginia. Why this hasn’t resulted in miners marching in droves on the state capitol is beyond me. Thank-you Mr. Ward for covering the horrific coal mine related disaster in Turkey. 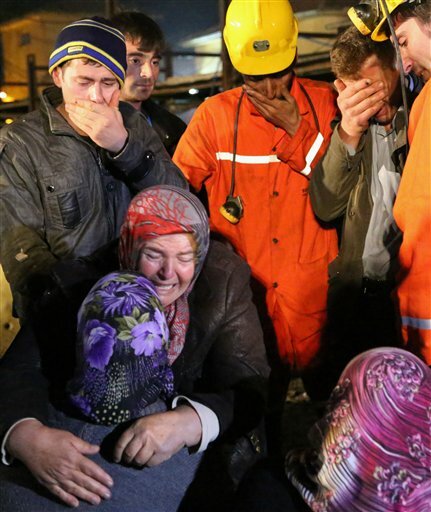 My heart goes out to the families and friends of the miners in Turkey and West Virginia. Please continue to keep us informed. These are terrible tragedies that I’m sure will be found (through investigations) could have been prevented. But, I’m having trouble finding out in the media coverage, if is this Brody mine is covered under a UMWA contract, or is it non-union? Thanks Ken, must have overlooked it.